I have been getting so many requests for non vegetarian dishes that I decided that I should make something different and post. So for the last two weekends, it’s been new recipes that I tried. 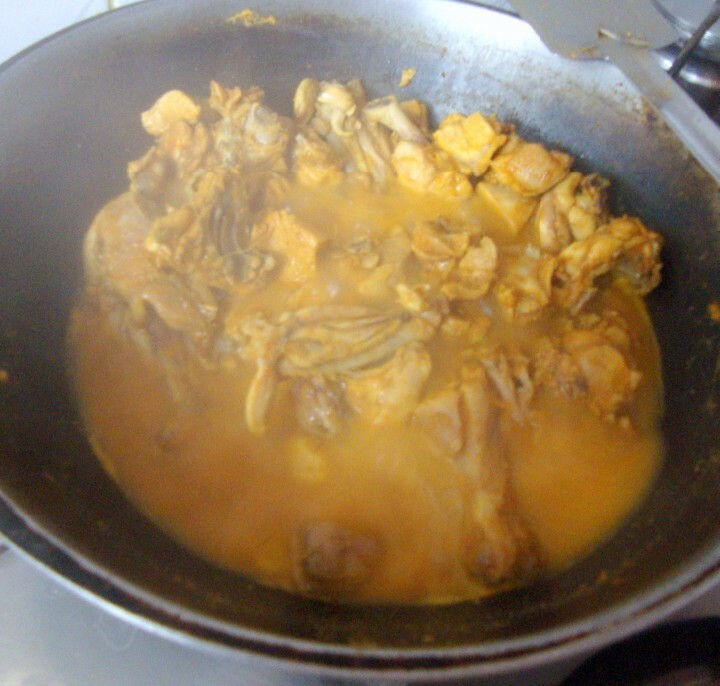 Today’s recipe is yet another chicken varuval, that Amma got to know this recipe from our family friend. 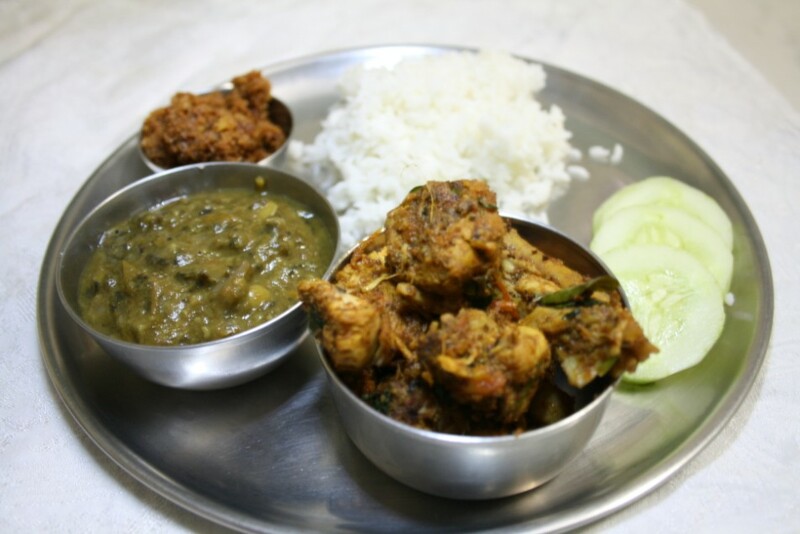 Vasantha Aunty makes non veg dishes the best and her dishes are well known. She makes a mean meat balls and for all the get together parties, she will surely make those meat balls. 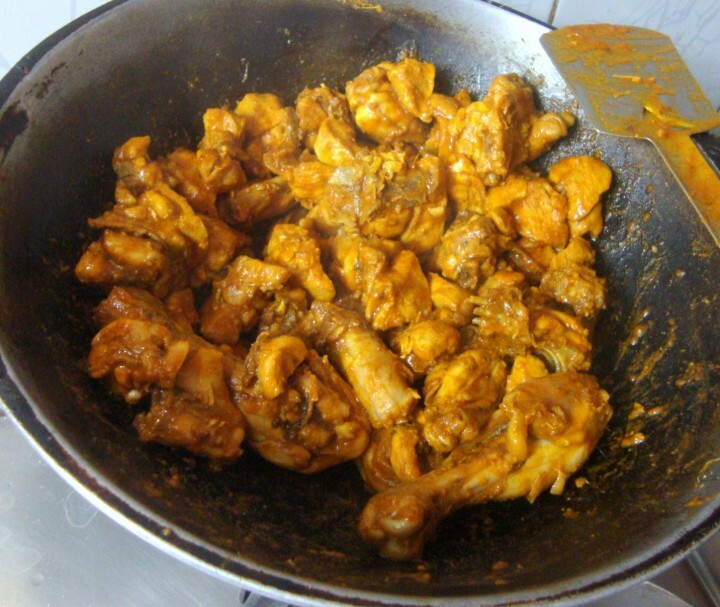 During the recent gathering, she had made this chicken varuval and daddy liked it a lot. So Amma had to get the recipe and she made it at home. Everybody liked it and naturally I got to make it again. The spice level has to be increased if I was serving just for hubby dear, however it was just correct for the kids. Since this is step by step recipe, if you are a meat eater, please skip the post and check out Spice your Life for Vegetarian dishes! Wash and cut the chicken as desired. 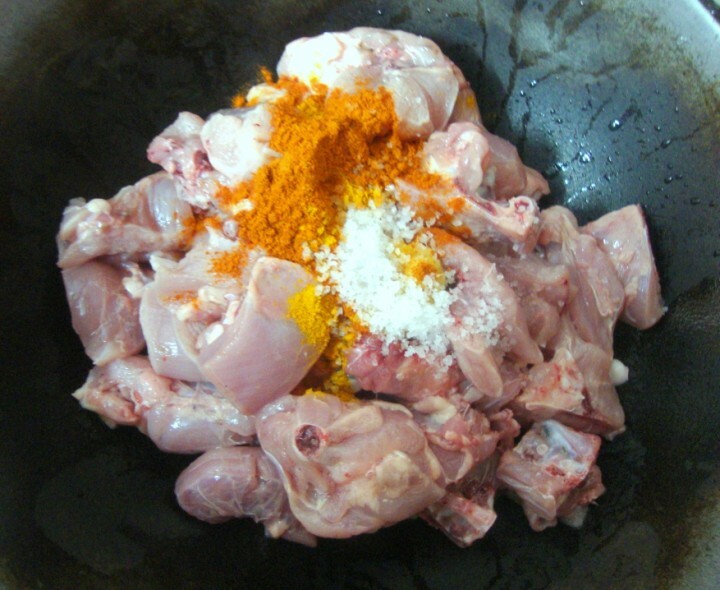 Add red chili pw, salt, ginger garlic paste and turmeric powder to the chicken and mix well. 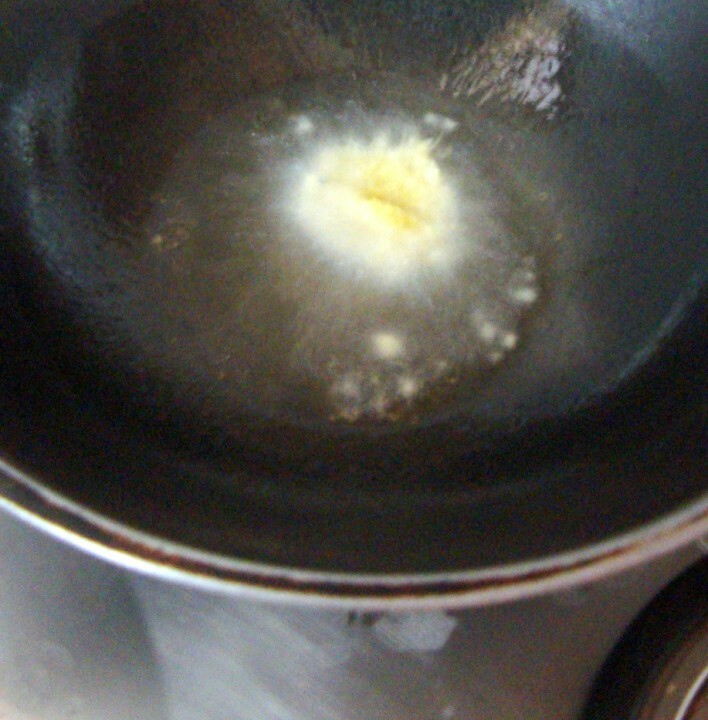 Continue boiling till the chicken is cooked. Simmer and dry the chicken. Keep it aside for it to be fried. Dry roast the wholepepper and cumin seeds. 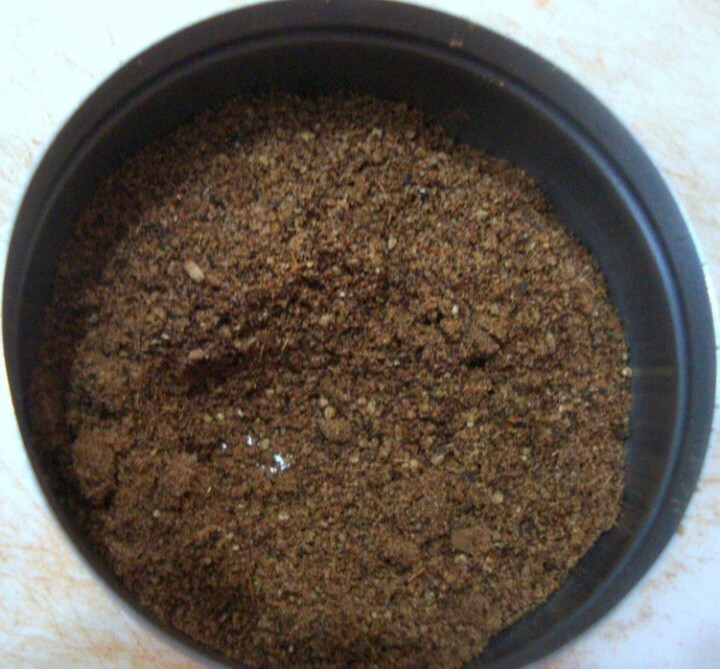 Once cool, grind to a fine powder. 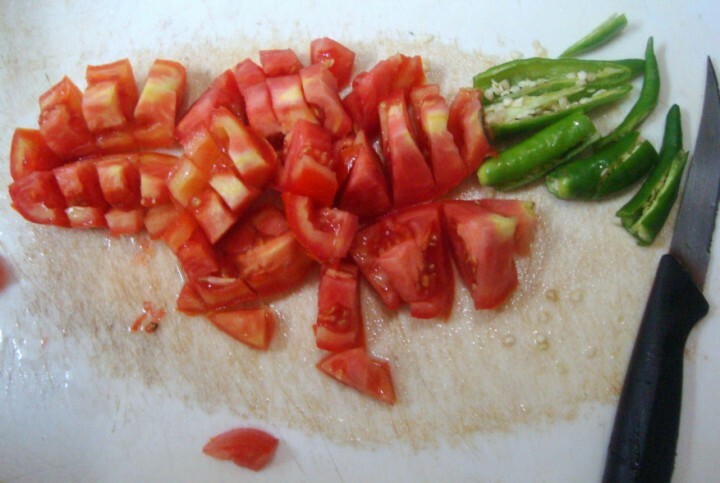 Finely chop the tomatoes, and slit the green chilies. Then add the chopped tomatoes. 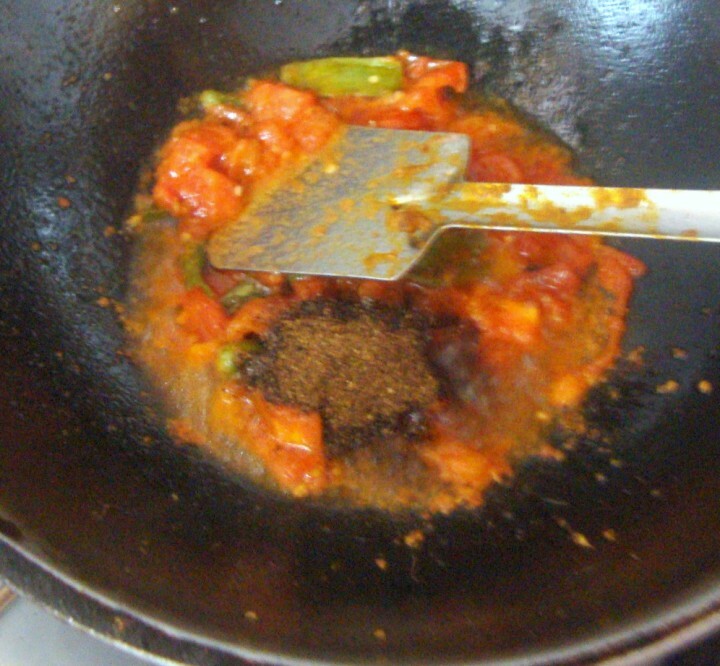 When the tomatoes are cooked, add the ground powder. Add the cooked chicken and roast till the chicken is well done. Finally add the curry leaves and the coriander leaves. 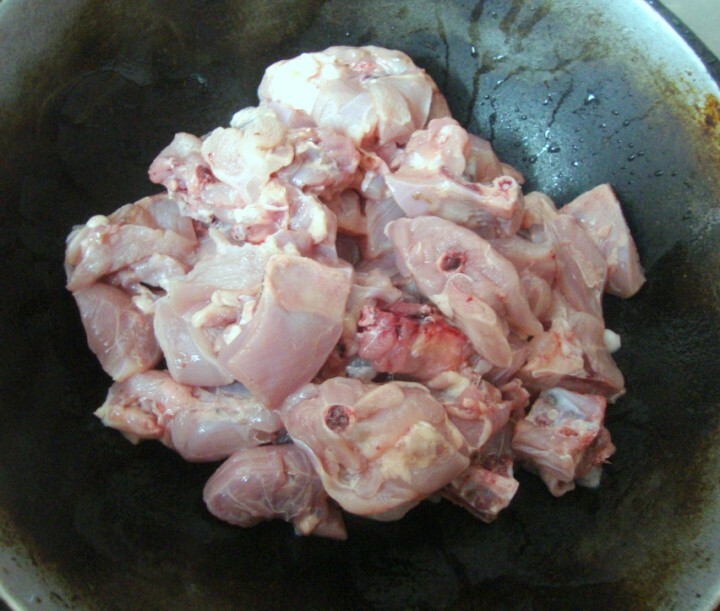 Wash and cut the chicken into bite size pieces. 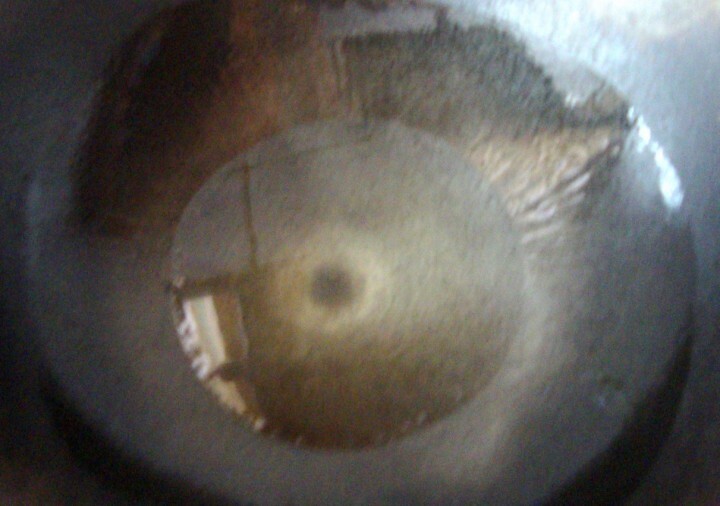 Wash and drain in a colander. 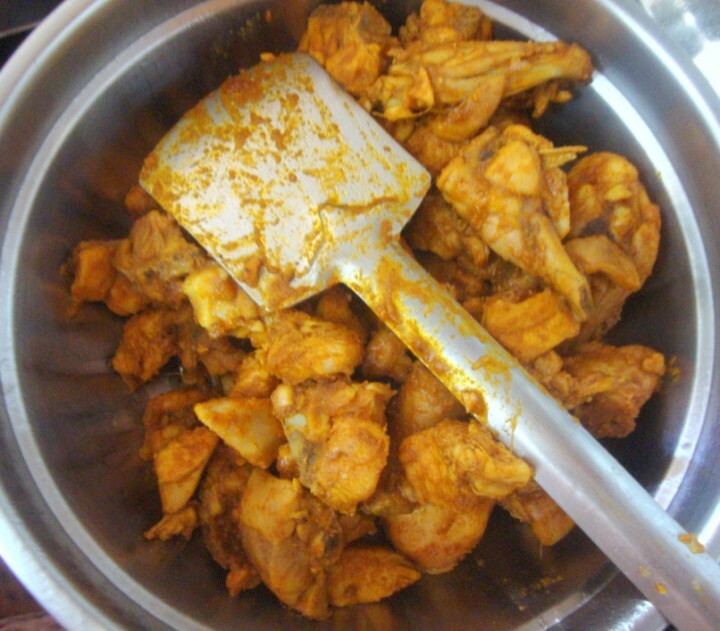 Add salt, red chilli powder, ginger garlic paste, turmeric powder to the chicken pieces. Take the chicken pieces in a pan and add 1 cup of water. Bring to boil, cook till the chicken is cooked. 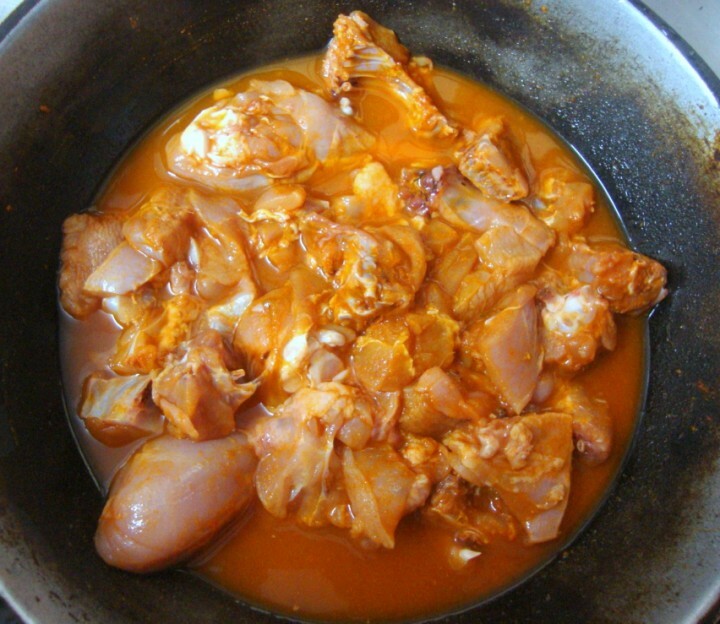 When the chicken is cooked, continue till all the moisture is evaporated. Heat a kadai, dry roast pepper and cumin seeds. Cool and powder to a fine powder. 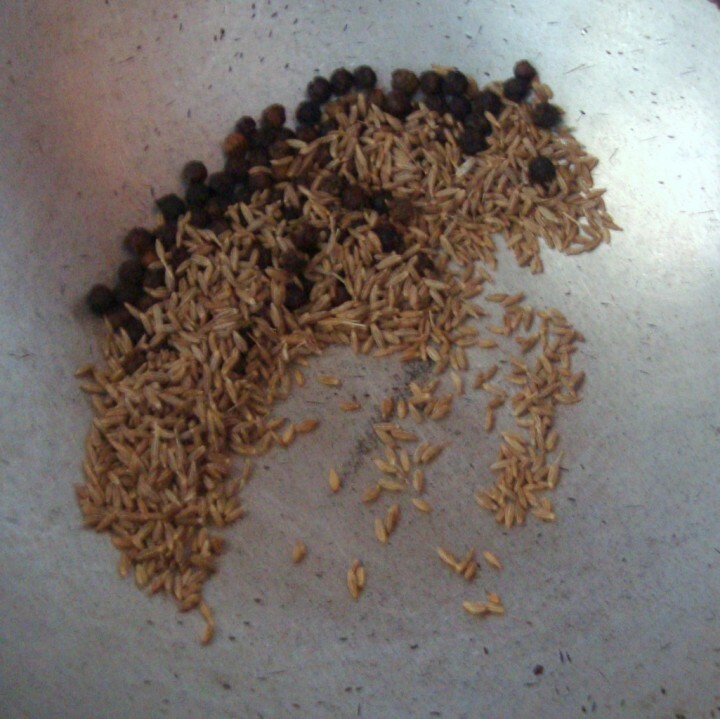 Heat a kadai with oil, add clove, cinnamon, cardamon. 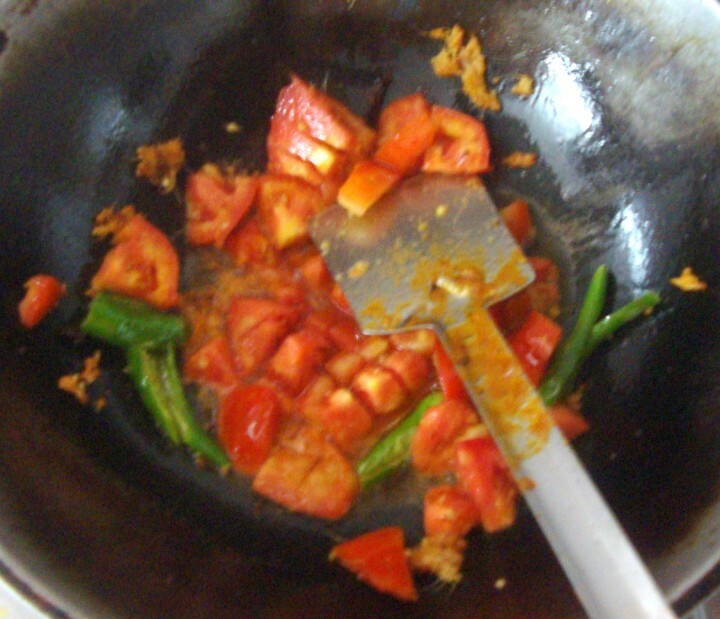 Saute for couple of mins, then add slit green chilis, ginger garlic paste, chopped tomatoes, fry for a while. Adjust salt and add as required. Once the tomatoes are mushy and soft, add the pepper and cumin powder. Saute for couple of minutes. Add the boiled chicken. 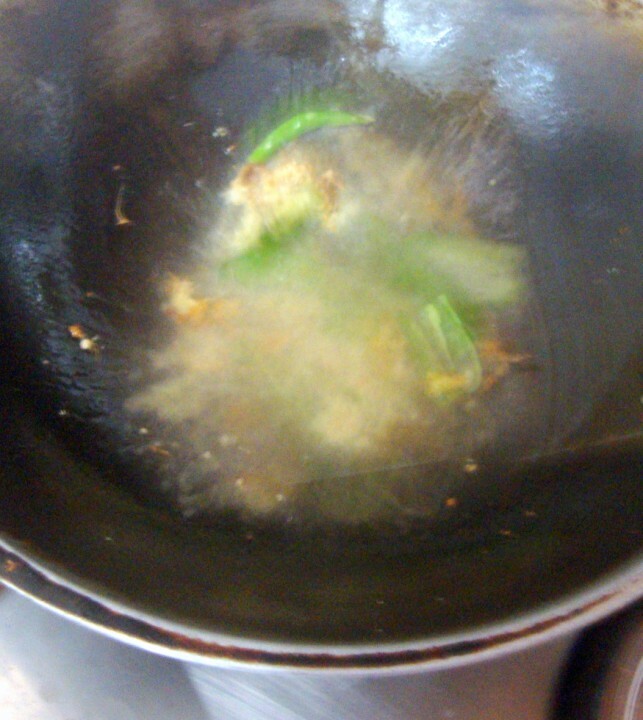 Fry on high flame, then simmer the flame and continue frying till oil comes out. Add curry leaves and coriander leaves and simmer for 5 mins. When the chicken is dry, increase the flame and saute again for couple of minutes. I still remeber the delicious chicken dish we ate in your home when we came. 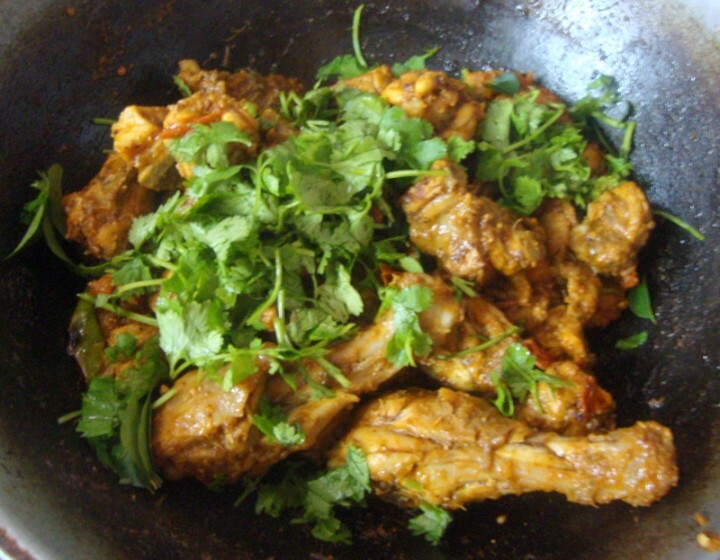 This chicken varuval looks super yumm. I am bookmarking this one. Chicken fry is lip smacking. Thank you so much for this yummy chicken fry…i tried this recipe few days back n loved it so much…will post it soon on my space!